The Jewish holiday Sukkot, which began on Wednesday evening, has architecture, construction, and design built into the festival. 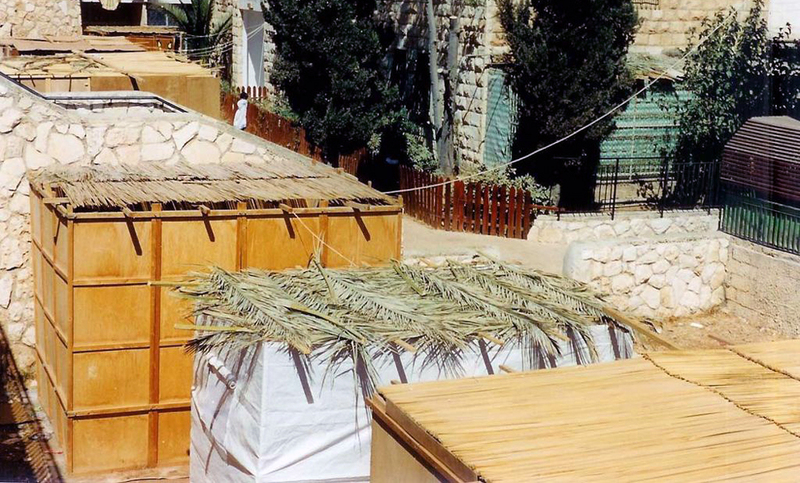 To observe the holiday, Jews around the world build and decorate temporary “booths” known as sukkahs, and spend Sukkot’s eight days eating meals with friends and family inside them. 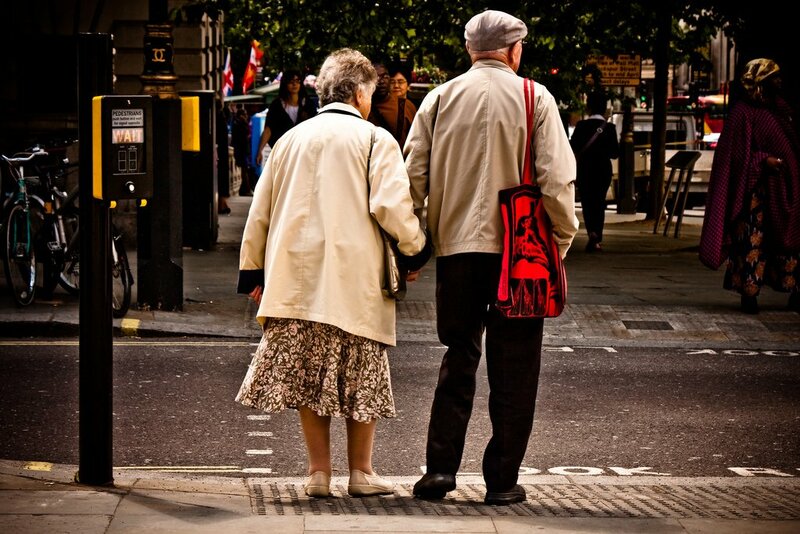 Depending on one’s level of observance, some individuals sleep in them as well. 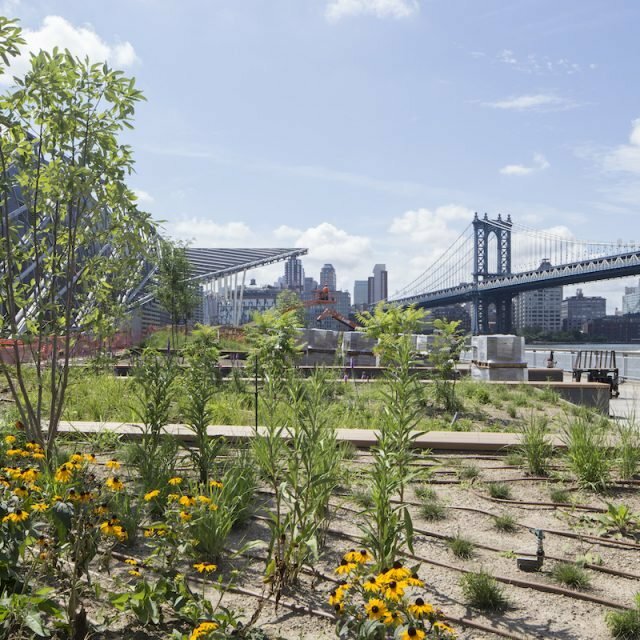 When it comes to sukkahs in New York, where backyards are few and far between, institutions and individuals take advantage of the space available to them. This includes having sukkahs in parks or courtyards, on roofs and balconies, and even on the sidewalk dining area of a restaurant. 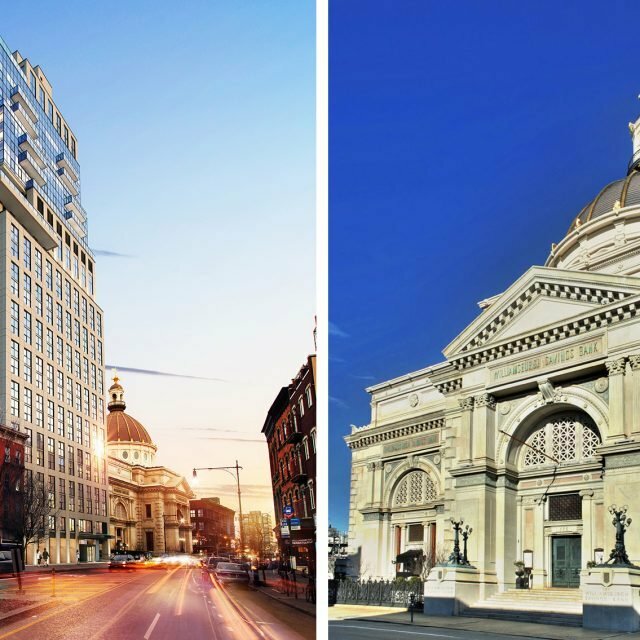 We wanted to highlight a few of the city’s sukkahs with particular interest to either their location, design, or both. First, to give you a bit more history, the reason sukkahs are built is to commemorate the 40 years Jews were wandering in the dessert and lived in temporary dwellings. 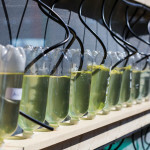 The festival takes its cues from these structures as well as Sukkot’s connection with an agricultural heritage. It is known as a harvest festival. 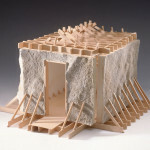 While there is an opportunity for creativity and expression, sukkahs have certain design requirements. A sukkah must have at least two walls and part of a third wall (though many have four walls) and the walls need to be able to withstand the wind. Its roof covering must be made of materials grown from the ground, often either bamboo, evergreen branches, or reeds. The covering is intended to shade, but must allow some light through so stars can be seen at night. 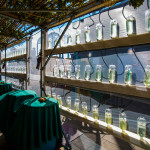 The JCC in Manhattan, located on the Upper West Side, collaborated with The Greenhouse at Ein Shemer, one of Israel’s premiere ecological learning grounds created by renowned artist Avital Geva, for their rooftop sukkah. 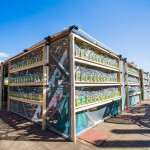 Ein Shemer came up with the concept of re-purposing plastic bottles, collected from the JCC Community, and filling them with varying amounts of algae to serve as the sukkah’s wall. 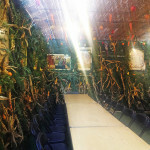 Both modern and environmentally friendly, this sukkah offers a chance to reflect on our times and think about how we are all interconnected. You can see more images of this one in our gallery below. 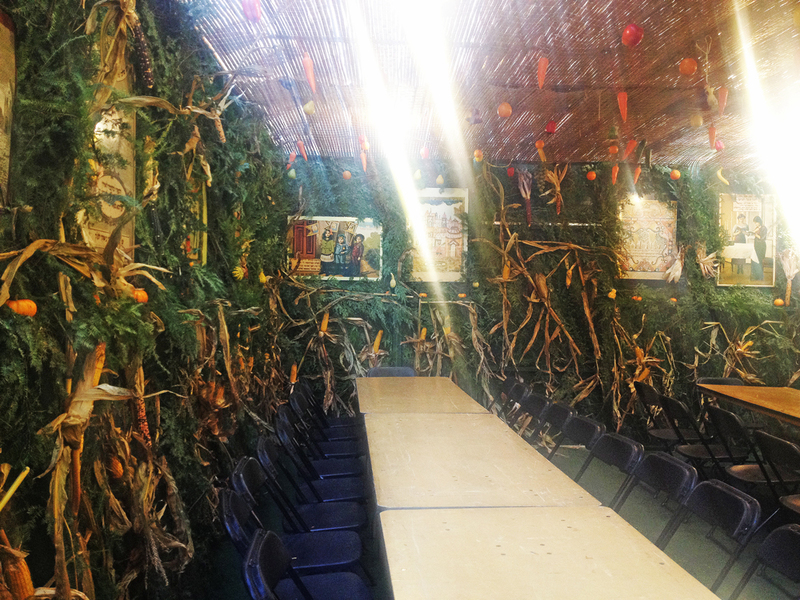 An important part of celebrating Sukkot is having a meal in the sukkah. 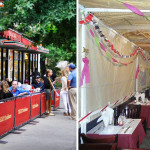 Talia’s Steakhouse, a Glatt Kosher restaurant on the Upper West Side, offers patrons the chance to dine (prepaid) in their sidewalk sukkah. Built out of their sidewalk dining space, the sukkah is intimate and fun. It allows many a chance to celebrate the way they might in a backyard sukkah at a friend’s home. 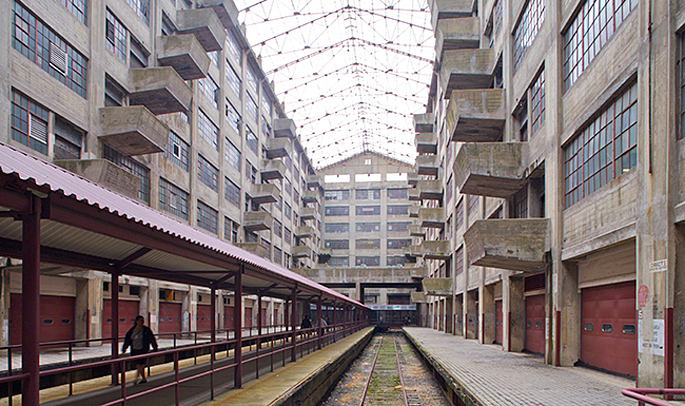 Built in 1918 as a military depot and supply base and later serving as largest military supply base during WWII, The BKLYN Army Terminal is now home to an eclectic mix of tenants that includes artists, small manufacturers, and biotechnology, textiles and apparel companies. 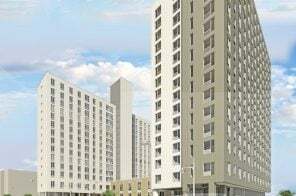 With over four million square feet of building space, there is nothing small about this complex. 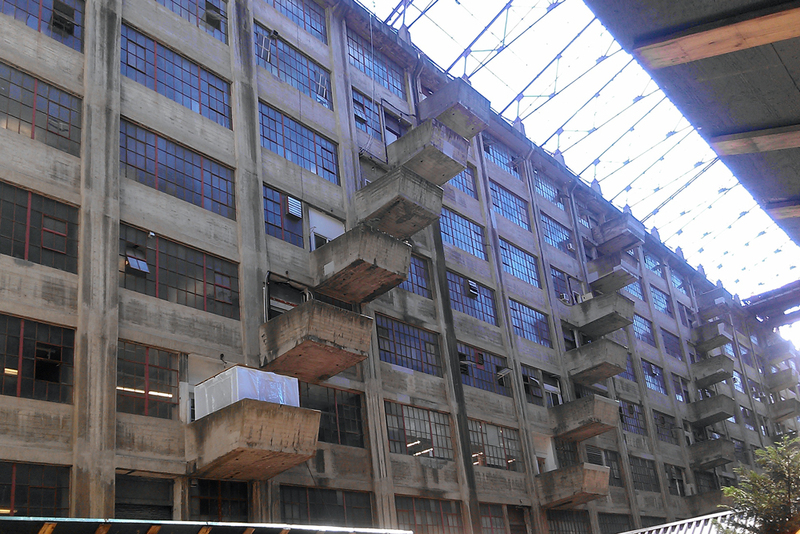 Given the magnitude of the BKLYN Army Terminal, the site of this single sukkah on a balcony is quite powerful. It represents that amongst the many windows and balconies, there is a celebration underway. There is also something poignant between Sukkot’s history and the building’s. 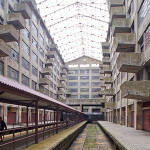 Although not a new buildings, BKLYN Army Terminal has a futuristic quality to its interior, but one that was designed almost a century ago. Just as the building is both old and new again so is this sukkah. 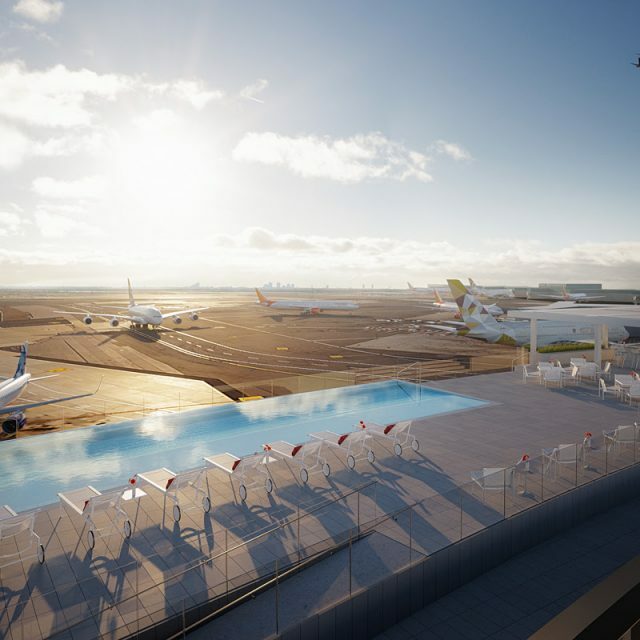 We often share models while reporting real estate, architecture, and design news. 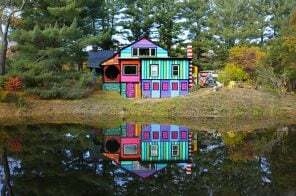 In that spirit, it was fitting to share one of a sukkah. 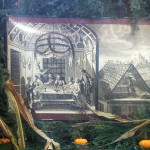 This sukkah is from The Jewish Museum‘s permanent exhibition, Culture and Continuity: The Jewish Journey. 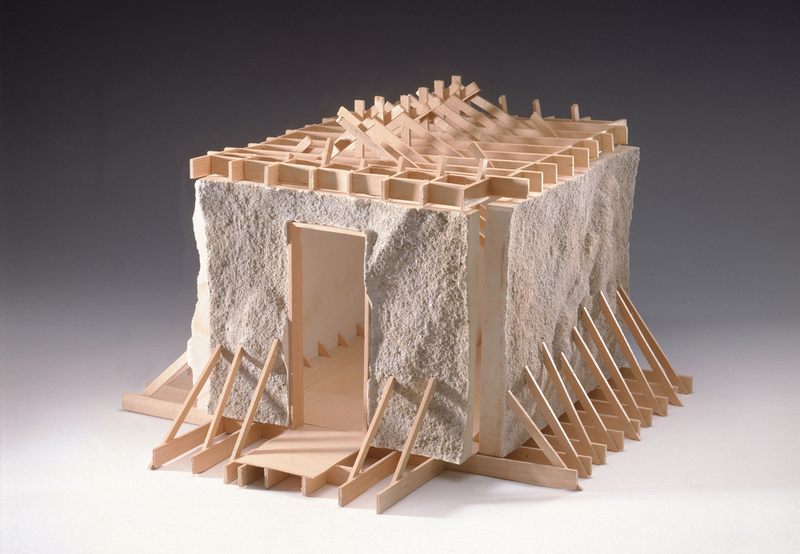 Titled Earth/Wall Raised (Study for Sukkah), it was made by Allan Wexler out of basswood; hydrostone cast in sand and stands 8 X 13 X 15 inches. The Museum has kindly provided the description of this piece, which offers insights into the artist’s vision. 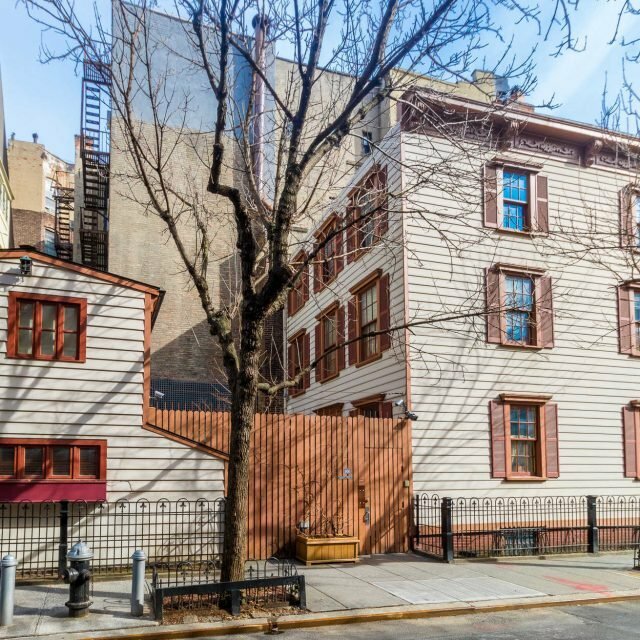 The Jewish Theological Seminary (JTS) in Morningside Heights has a long sukkah tradition, dating back a little over a century. The visionary behind the institution’s sukkah was Mathilde Schechter, whose husband was the president of JTS, Solomon Schechter at the time. 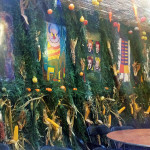 In an effort to bring the JTS community together, she encouraged the building of a sukkah, and found roles for everyone: rabbinical students built the sukkah, women decorated it, and children helped as well. The sukkah tradition was passed down to Adele Ginzberg, the wife of renowned scholar and JTS faculty member Louis Ginzberg. Mrs. Ginzberg took what Mrs. Schechter had begun and developed it further, helping the sukkah gain a reputation beyond the campus. Today, JTS is known for having not one, but two beautiful sukkahs in their courtyard. Each bears a name with significance: The Adele Ginzberg Sukkah honors her pioneering sukkah efforts at JTS, and the Brandt Family Sukkah is dedicated to the memory of Oren Jacob Brandt-Rauf, brother of JTS alumna Elka Brandt-Rauf. JTS’ sukkahs are built with green wood walls, and are large enough for the community to come together. In the event of inclement weather, rain flaps can be pulled down. However, once the rain stops, the flaps must be removed to allow the stars to be seen. 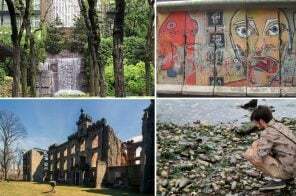 This year, JTS is in its fourth year (out of five) of its Ushpizin art installation. 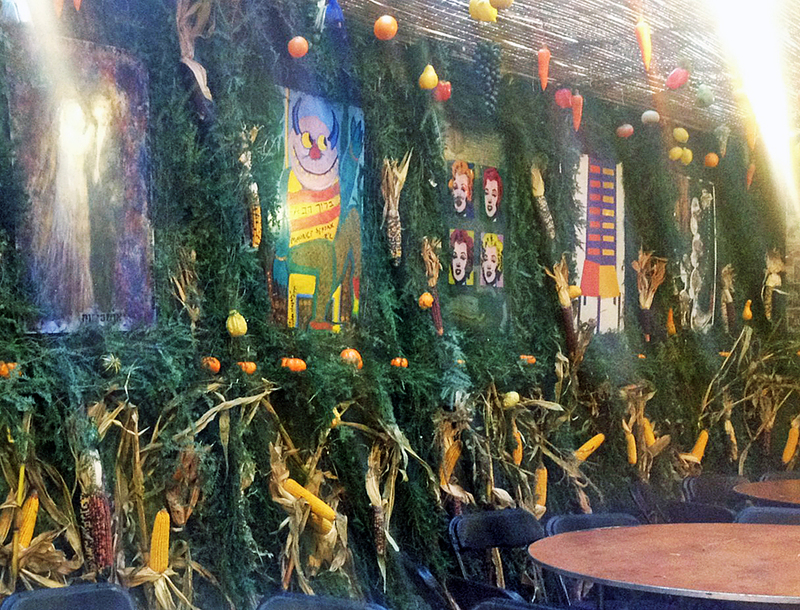 Ushpizin, which translates to welcoming guests to the sukkah, is the inspiration behind the artwork adorning the sukkah walls. The art, made by both professional artists and amateur artists comprised of JTS students, faculty, and staff, is intermingled with corn husks, gourds, and pumpkins. Fruit hangs from the ceiling, which is customary in many sukkahs. We happened to stop by on a beautifully sunny day, where the light peaked through the roof-covering providing a sense of the balance of light a sukkah must achieve. 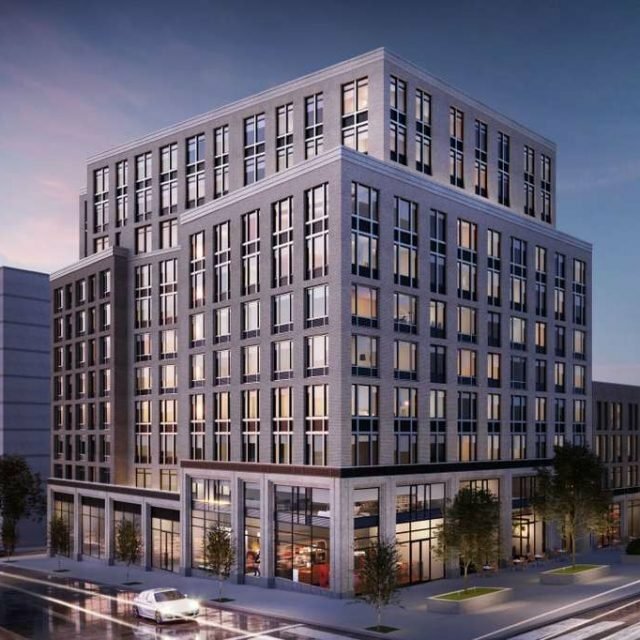 Stonehenge Partners is known for fostering community within each of its buildings, and across all of its properties. 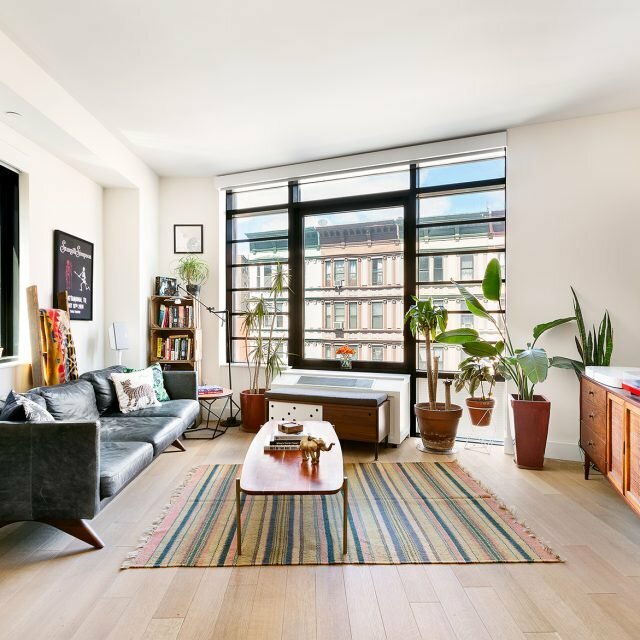 Their philosophy is that tenants are not merely renters, but instead are part of something much larger. 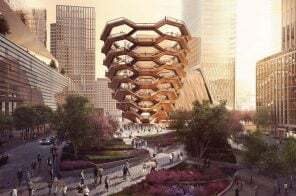 In an effort to continue that communal spirit, Stonehenge’s Ritz Plaza Park (235 West 48th Street) is hosting The Kabbalah Centre New York‘s sukkah, which was designed by luxury fashion designer Eli Tahari. This is the third year Tahari is designing the Centre’s sukkah. 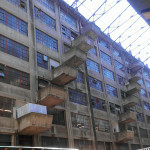 The decision to work together came from residents of the building. Several are members of the Centre, and were aware of the Centre’s need for a location for its sukkah. The collaboration between the two was a natural fit. The sukkah is located inside Firefighters Memorial Park at Ritz Plaza Park, which honors the 15 firefighters from Engine 54, Ladder 4 who lost their lives on 9/11. Placing the sukkah within this memorial gives the sukkah extra meaning, and is a beautiful way to honor those lost. 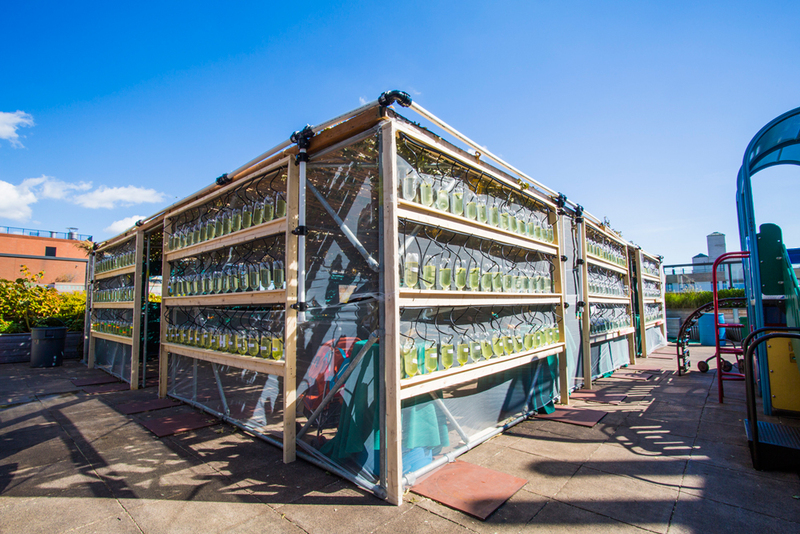 The sukkah is open to the public at specific times throughout Sukkot. 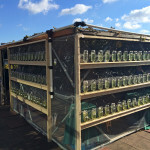 Union Square’s High-Concept Sukkahs from Jewish Daily Forward on Vimeo. 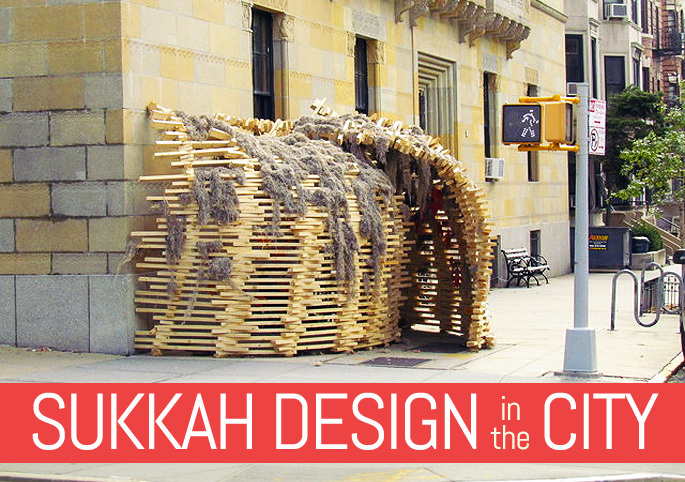 Although this sukkah design competition was held four years ago, Sukkah City has left a lasting impression on the New York sukkah scene. 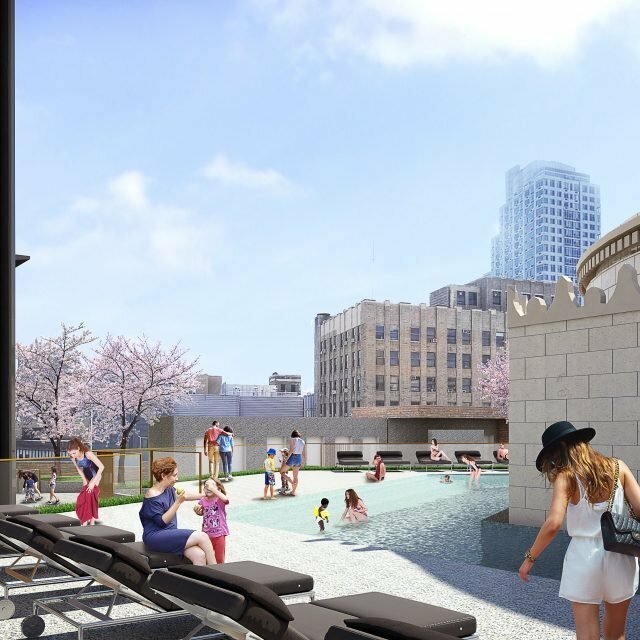 The event had judges including Michael Arad, the designer of the National September 11 Memorial, narrowing down 600 sukkah designs to 12. The finalists built their sukkahs in Union Square and one winner was selected. 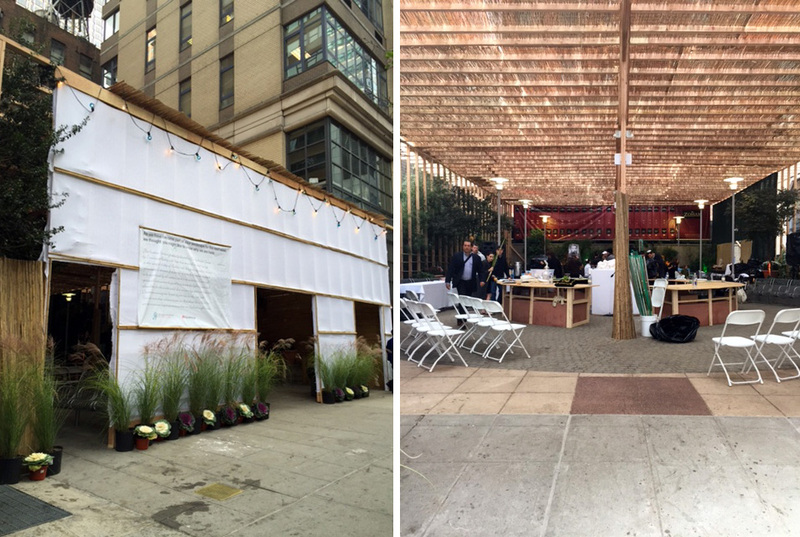 Throughout the event, New Yorkers had a chance to engage with sukkahs and design simultaneously. 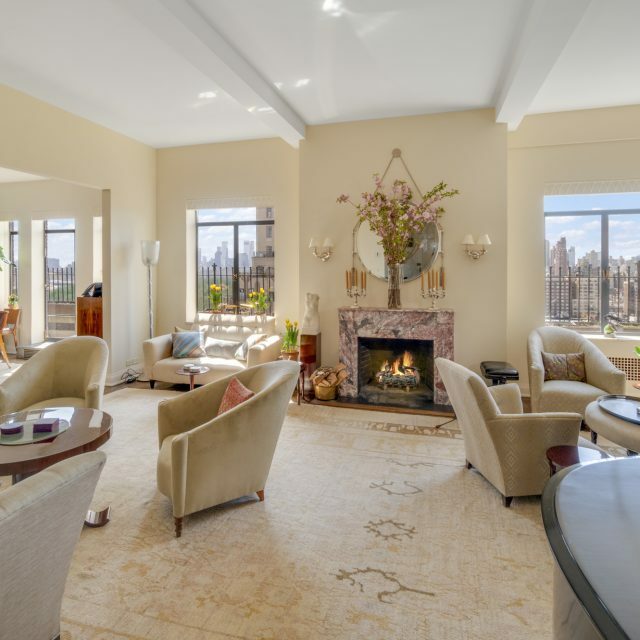 A quick flip through photos shows design at its best. For more information, check out this detailed recap from The Atlantic and watch the video above. 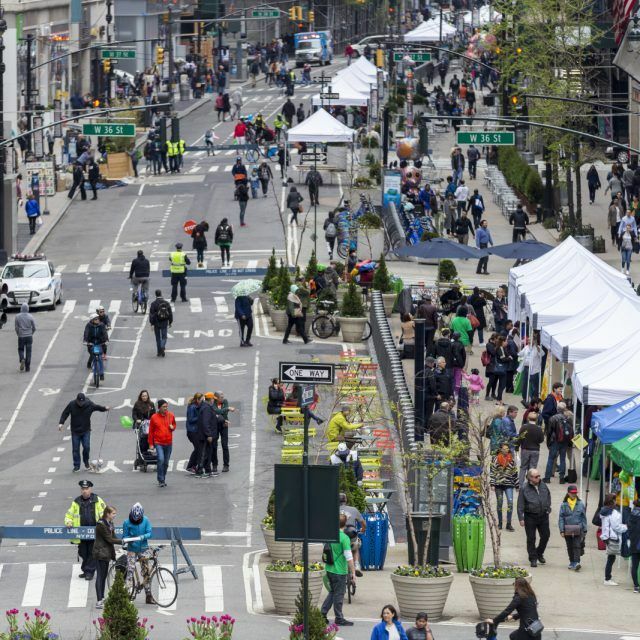 Are you celebrating Sukkot in a New York City sukkah? 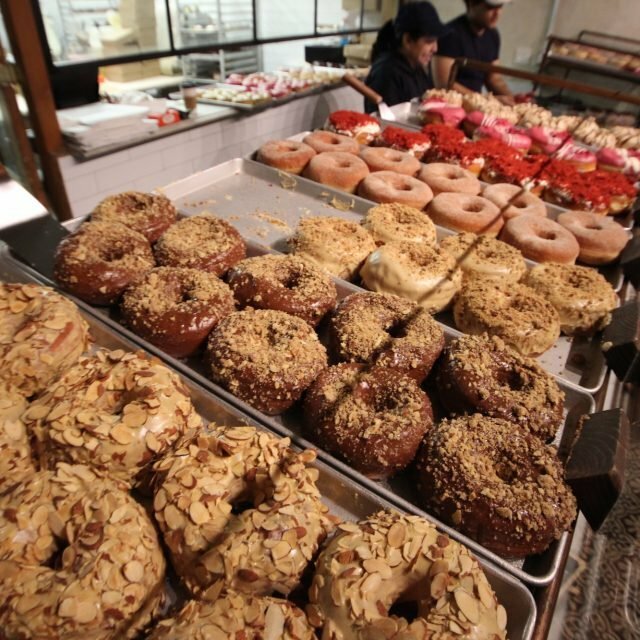 If so, tell us where!